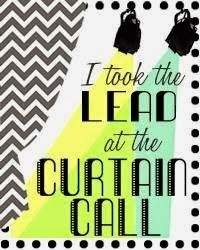 Curtain Call: Curtain Call - Tasty Tropics LEAD and Show Stoppers! 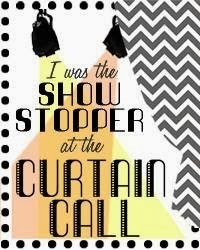 Curtain Call - Tasty Tropics LEAD and Show Stoppers! 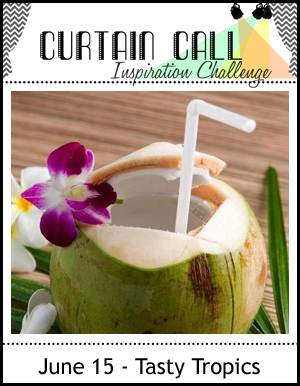 Thank you so much for joining us for the Curtain Call Inspiration Challenge - Tasty Tropics! "Anni's card reminds me of all things Tasty and Tropical! Love it!" 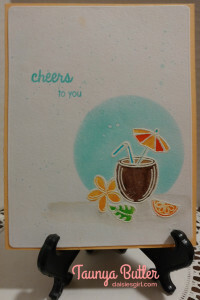 "Love the tropical, summery feel of Anni's card. Great coloring!" "Taunya's sweet card is spot on with the inspiration photo." "I love Taunta's cut card. Perfect take on the inspiration photo with those images. The heat embossing looks great." 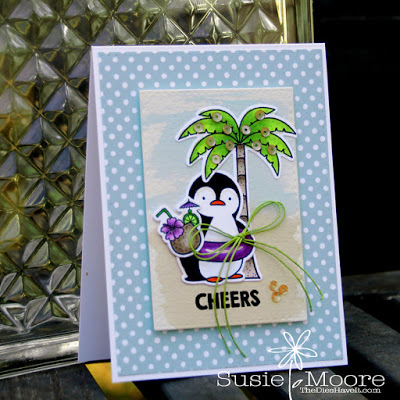 "Susie's penguin on the beach with his tropical drink is a fabulous scene on top of the soft watercolor beach background." 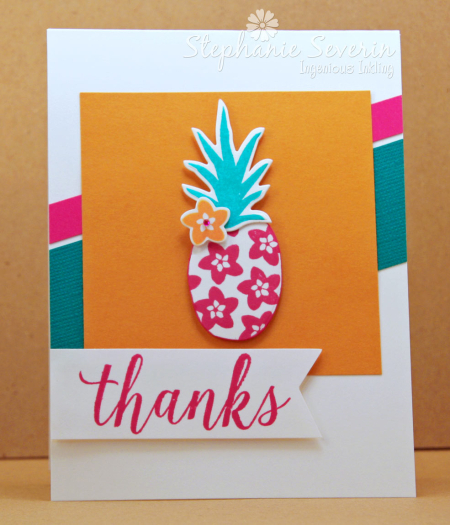 "Love Stef's flowered pineapple and how her bright colours pop off the white background." Be sure to check back tomorrow for a new challenge! Thank you for featuring me! Makes my day! !